Things have been a little crazy for me lately. I am hard at work helping to finalise the features line-up for the Blue Mountains Film Festival which has been taking up all of my spare time usually set aside for writing. Also, for some reason the emails of new posts from WordPress have stopped working, so apologies if I have missed some of your posts. Anyone else had this issue with WordPress emails not coming through in the past week and a bit? 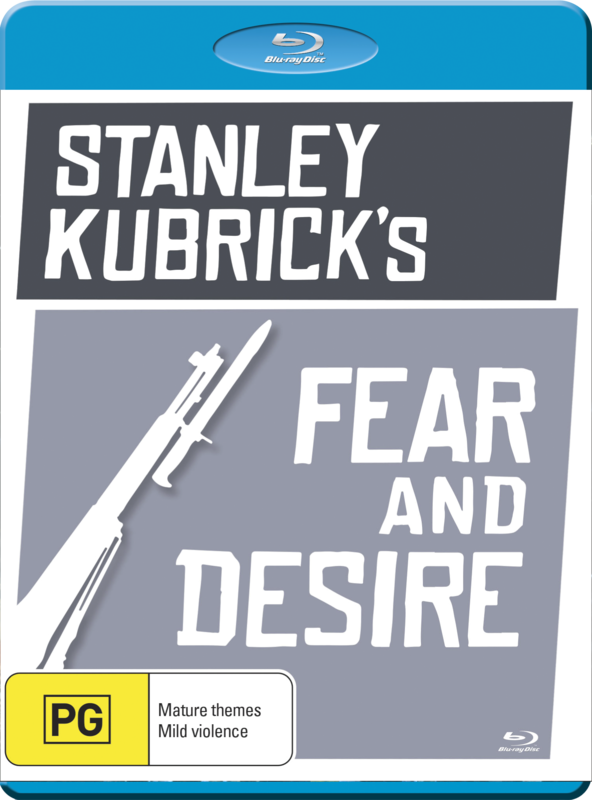 At 60 minutes, Stanley Kubrick’s Fear and Desire (1953) falls into that no-man’s land between a short and a feature (though technically it is considered the latter). Which made it a perfect film for me to quickly watch and review. 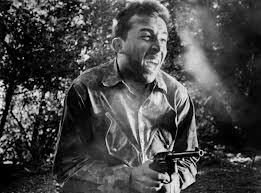 If Kubrick had his way, you would believe that his feature career started with Killer’s Kiss (1955), so much so that throughout his lifetime he suppressed Fear and Desire, publicly deriding it and encouraging it not to be screened. To be totally blunt, I can sort of see where he was coming from. The film functions as a curiosity piece based solely on the fact that its director went on to become one of the all-time greats. However it has very little to recommend it outside of that. The film follows a group of soldiers who find themselves behind enemy lines in an unnamed conflict. The film begins with a rather pretentious voiceover that says things like the soldiers involved have “no other country but the mind”, and it is a pretentiousness that plagues much of the rest of the film actually. It feels a little too much like a student film that is taking itself far too seriously. The plot, a pretty secondary concern to be frank, sees the soldiers attempting to make it back to the friendly side of the battlefield. Along the way they get a little distracted by the close proximity of an enemy general who they consider taking out. Kubrick became very well known for his war films – Paths of Glory (1957) which I consider to be probably the greatest film the genre ever produced, and Full Metal Jacket (1987), a film I am not particularly fond of but that is widely beloved. But there is none of the immediacy of those two films that would really allow you to consider this a ‘war film’ as such. The themes that Kubrick would touch on in those later films are here, but only found in pretty minute quantities. 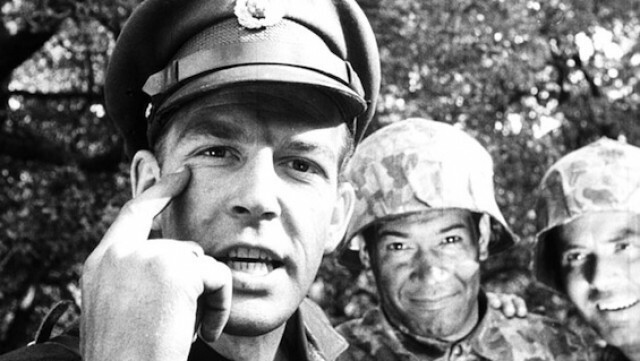 Fleeting consideration is given to the notions of cowardice and military duty, but both of these were much expanded on in Kubrick’s later work. Unlike many first films from great directors, Fear and Desire gives very little indication of what is to come in the career of the person in charge. Much of it is simply, at times blandly shot. The disconcertingly average cuts from one close-up/medium shot to the next that looks pretty much exactly the same, shows a lack of inspiration that is distinctly un-Kubrick like. There are a couple of scenes where his visual flourish gets an early career work out. One slaying in particular springs to mind. But overall, there is little indication that the man directing this film would go on to become the master that Kubrick did. Many of the film’s flaws though are not Kubrick’s fault. The script, which was not written by him, is no good at all. It seems enamoured with arty flourishes that just come off as both pretentious and meaningless. Some of what it is aiming for, the consideration of war’s effect on the psyche, would later be examined much more successfully by Apocalypse Now (1979). The dialogue also fails to give the film any real momentum at all as it crawls along. Managing to rise above all of this in the chief highlight of the film is the performance of a young Paul Mazursky as Private Sidney. Even when the material he is working with is decidedly uneven which could have easily seeped into his performance, he delivers a really quite assured and creative depiction of a man crumbling under the stress of the situation he finds himself in. Fear and Desire contains a few highlights, chief amongst them the performance of Mazursky. But there is very little here that is worth your time. So unless you are a Kubrick completist (a stance I could definitely appreciate) I think it is safe to say you can afford to give this pretty wooden film a miss. Interesting stuff. I do mean to watch this at some point, but as you say it’s a completist thing and if Kubrick’s wish was for the movie to be lost to history, then who am I to disagree? That’s a big question with this kind of thing isn’t it. You see it more in music when after the death of a big name muso, the estates often will release absolutely everything. Most of which the artist obviously didn’t want to to see the light of day. Whilst I am conflicted, when it comes to seeing something else by a genius like Kubrick (or Jeff Buckley as a music e.g.) I can’t help but check it out. Nice review. I haven’t seen this one but recently watched Pedro Almodovar’s debut film and it is so awful. Couldn’t believe it was the same man who made my favorite film. Haha. Debut films can definitely go either way. What is your favourite film? Cheers man. Will have to check it out. You should. Would love to hear your thoughts on it!